Sleeping is the best. We’re not going to dance our way around it. We love bedtime and we are extremely proud of it. While we enjoy the whole snoozing the night away part, we have to say we are also huge fans of waking up feeling and looking refreshed and well-rested. It is called “beauty sleep,” after all. The problem is, most of the time, we actually wake up looking like the Boogeyman just attacked us, with crazy hair, a creased face and a painfully red complexion! So what is the solution? Hanging our head off the bed as we sleep? Nope! It’s the Slip Silk Pillowcase. This pillowcase is a major celebrity favorite, and Game of Thrones actress Sophie Turner is one of the latest to express her love for it, calling it “the greatest invention of all!” She joins stars like Kim Kardashian, Rosie Huntington-Whiteley and Ashley Graham as huge fans of the brand whose beauty clearly demonstrates just how well this pillowcase works! 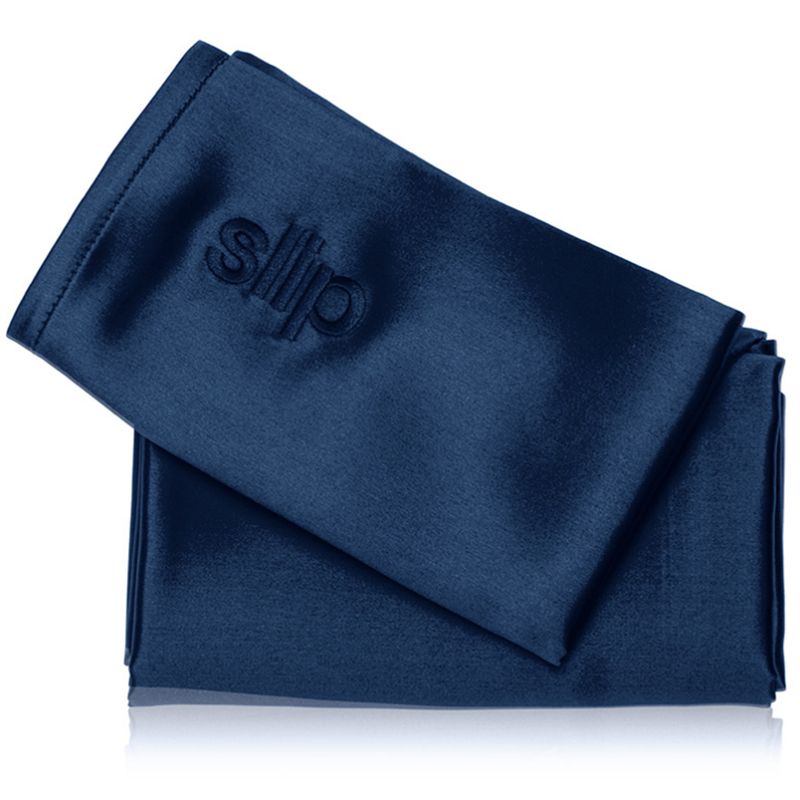 See it: Get the Slip Silk Pillowcase for just $85 at Dermstore! Earn double points on any purchase until April 14, 2019! Also available at Violet Grey! Shoppers are calling this pillowcase a “beauty addict essential.” One said they “never wake up with ‘pillowcase face’” anymore, while another said “frizzy bedhead hair” is a thing of the past. Others commended the brand for making such a high-quality pillowcase that can be washed in our very own washing machine. Dry cleaning can be tiresome and expensive, so this makes a huge difference! This pillowcase is made out of 100% pure mulberry silk. We can’t just pick any “silky” pillowcase and see results. Mulberry silk is the finest silk we can get, and Slip claims that its fibers can “promote the longevity hair and facial products.” But how? Let Us explain. This pillowcase claims to be crease-resistant, reducing friction so that our skin isn’t stretched and irritated. It also claims to preserve the “style, volume and length of hair” as it won’t pull on our hair cuticles as cotton pillowcases do. This may result in an anti-aging effect all without any serums or treatments (though those can’t hurt!). Slip only uses non-toxic dyes when making these beautiful pillowcases, which are recommended by dermatologists, plastic surgeons, hairdressers and beauty experts around the world. They also look amazing on our bed. Come on; we would never forget about aesthetics! This pillowcase is currently available in eight different colors, all with a sleek shine to them. There’s Black, Silver, Charcoal, Navy Blue, White, Pink, Caramel and Gold! We may have to buy more pillows because we want all of these in our room as soon as . . . now! 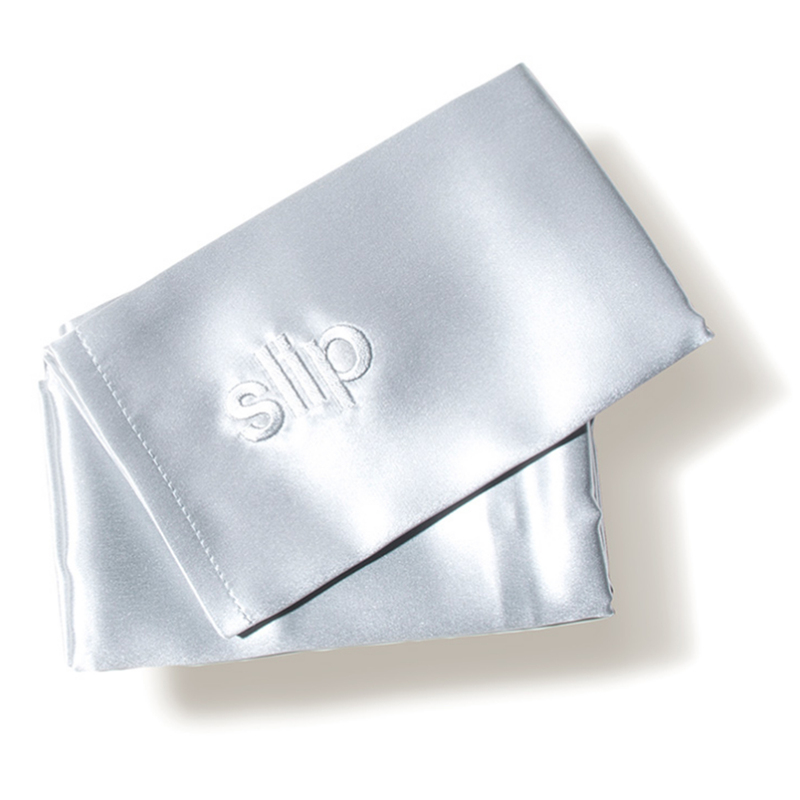 Especially because, while supplies last, every Slip pillowcase purchase comes with a sleep mist spray at Dermstore! Looking for something else? Check out more from Slip here and other skincare available at Dermstore here!